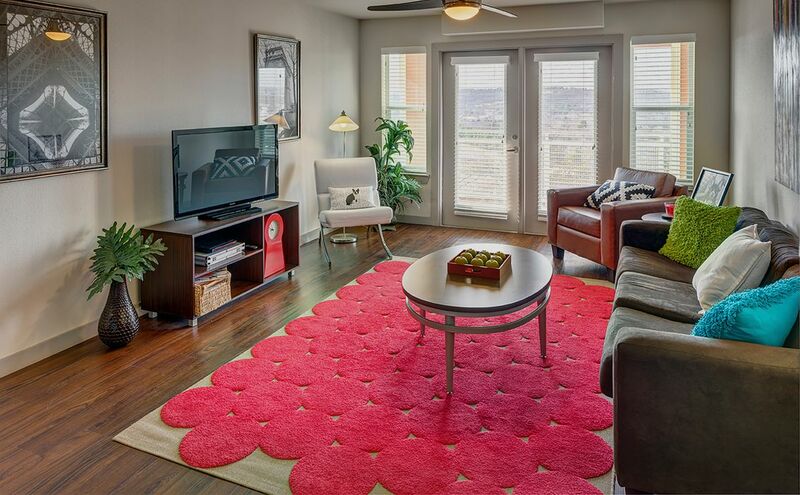 Look out of the window at your apartment at The Vue on Stadium Drive, and you’ll see the best of Fayetteville laid out before you. Walk down Razorback Road to watch baseball at Baum Stadium, then stop for platters of wings and chicken fingers at Foghorn’s. Catch the latest blockbuster with friends at Malco Theatre before treating yourself to steak and sushi at Shogun, or sit in former President Bill Clinton’s first living room at the Clinton House Museum. On Sundays take a drive up to Lake Fayetteville, where you can take in stunning views, play volleyball or just relax and enjoy a picnic with friends. 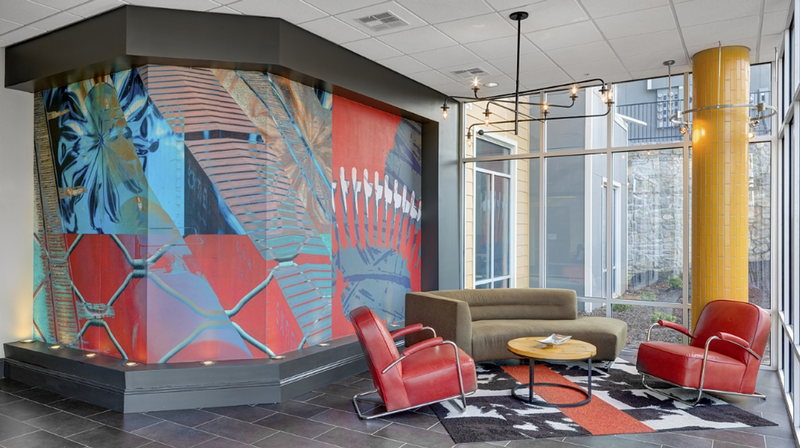 Live at The Vue on Stadium Drive and you’ll be located on a hilltop overlooking the University of Arkansas campus, which is just a shuttle stop away. Take advantage of the all-day shuttle service to get to class on time, stopping to grab a coffee from the coffee bar along the way. Make use of the great transport links to spend Saturdays browsing the Fayetteville Farmers’ Market, picking up locally made produce for a delicious dinner back at your apartment. When class is out, join friends at the outdoor movie theater to share popcorn as you watch your favorite movie under the stars, or stop off at the clubhouse for cocoa and cookies before bed. Spend lazy afternoons lounging by the pool, or reading in one of the cabanas while you soak up the sun. When you want more of a glow, treat yourself to a spray tan in the on-site tanning booth. Get your heart pumping in the 24-hour fitness center, before you go to meet neighbors in the clubhouse to catch the latest game on TV. 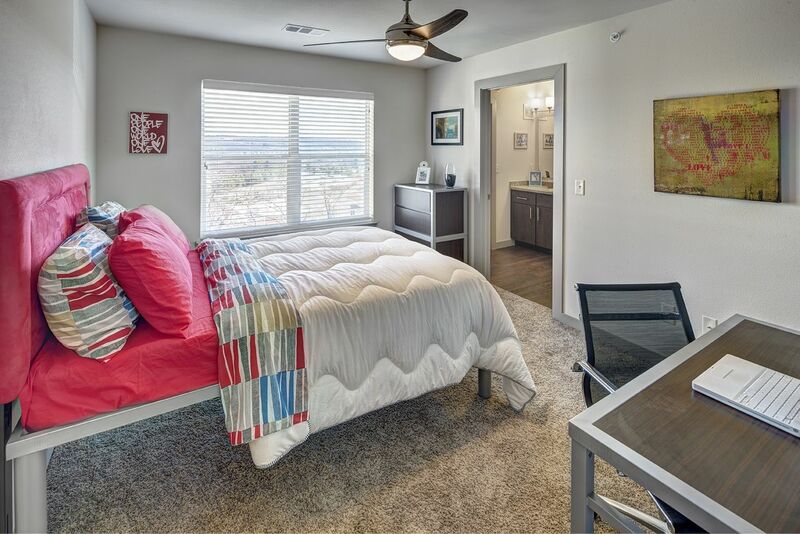 Whether you share with one or three friends, you’ll have plenty of space to relax and study in your apartment. Take your books out onto the balcony for some fresh air while you work, sit at the desk in your private room for a final readthrough, or head down to the computer lab for a group study session. Later, get ready in your own private bathroom, before joining your friends in the lounge for a quick snack before you head out on the town. We couldn't find a room that matches your preferencesView all Private Room in The Vue On Stadium Drive.